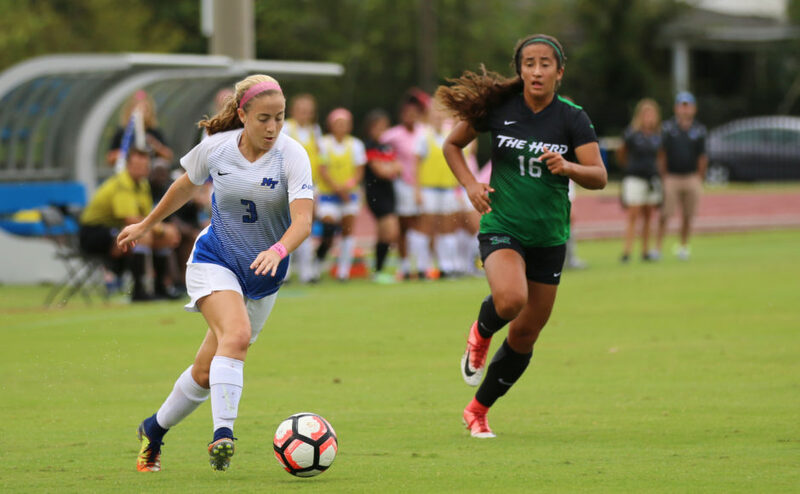 The Middle Tennessee Blue Raiders (5-2-1, 0-0-1) tied with the University of Texas San Antonio (4-3-1, 0-0-1) 2-2 to begin their conference play at home on Sunday. The Blue Raiders started the first half of the game very sloppy and were victims of penalties. However, the second half is when the Blue Raiders kicked it into gear. Redshirt sophomore Maddison Falter scored the first goal of the game in the 53rd minute, with fellow redshirt sophomore Sam Debien being credited on the assist. That goal marked Falter’s third goal of the season. The Road Runners responded with a Marian Henderson score in the 66th minute by way of a penalty kick. 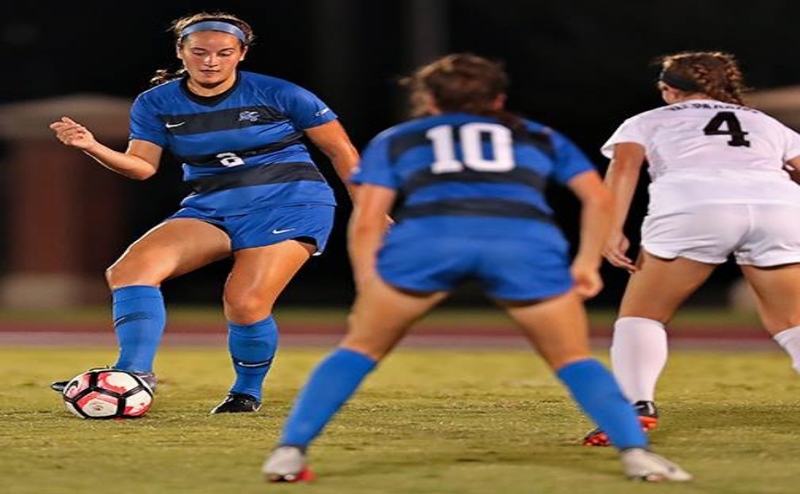 Henderson’s goal ended the Blue Raiders’ streak of having not allowed a goal in the last three home games. 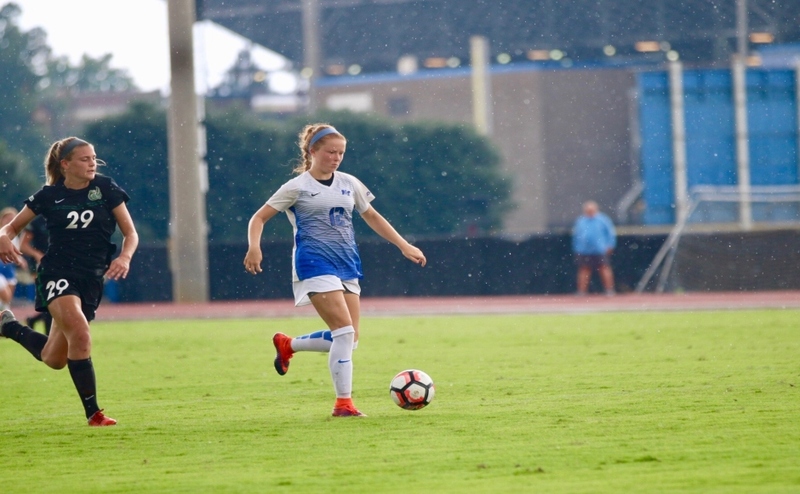 Freshmen Hannah Tillet found the back of the net for the Blue Raiders once again and scored in the 76th minute. Debien was in on another assist for Tillet’s eighth goal of the season. Nevertheless, within the next minute of play, the Road Runners scored again to tie it up. 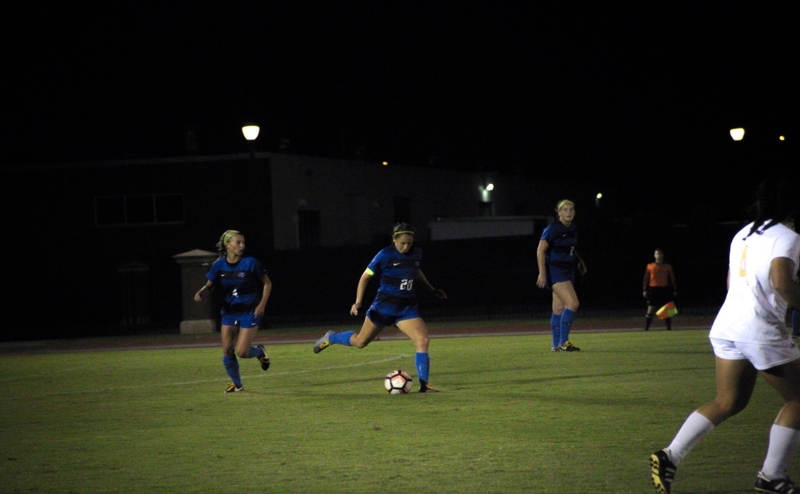 The Blue Raiders had a total of nine offside penalties against the Road Runners, with four in the first half and five in the second. 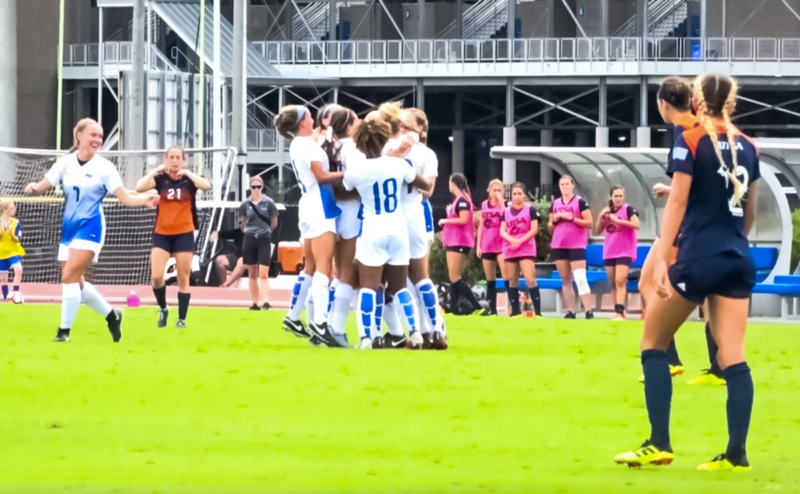 One of the offside penalties was a critical call and could’ve cost the Blue Raiders a victory-sealing goal. The Blue Raiders also struggled to play a clean game and were called for a lot of penalties, two of which were handballs inside the box. One of those calls gave the Road Runners their penalty kick, which led to a goal. “The delivery of our passes (need to be better), and (we’re always) at the mercy of the official’s subjectiveness,” said head coach Aston Rhoden when discussing the offside calls. The Blue Raiders finished with their first tie of the season, and it’s their first tie since 2016 when they played the Belmont Bruins. Following a tie, both teams receive a point rather than three points after a victory, which the Blue Raiders would have preferred to receive. The Blue Raiders will now turn to their next game against Rice on Thursday for their second conference game of the season. Game time is set for 7 p.m.